Select from a number of the new Facebook Social Plugins and place them on your website and blog. TheFan Box widget is now the Like Box and it works well todisplay your current fan page stream and a selection of fans– see screenshot below with Whole Foods Market Facebook Like Box. I would recommend adding a title above the box encouraging visitors to your site/blog to click the “Like” button (which makes them a Facebook fan). If you host live events, be sure to take plenty of photos(or even hire a professional photographer),load the photos to your fan page and encourage fans to tag themselves. This, again, pushes out into their wall and friends’ News Feeds, providing valuable (free!) exposure. And, a picture says a thousand words – we notice the thumbnails in our feed more than text. Develop extremely engaging video content (funny, thought stimulating, etc). If you don’t have the creativity to come up with “viral content” that people will share, take some of the top viral videos on youtube and other sites and compile them into one with segments from each (make sure you aren’t violating copyright laws). At the end of each video, prompt the viewer to become a fan and explain to them how to mouse over the top of the video (as pictured above). Share the video and encourage others to share the video as well. The movement of employees across countries has been a growing trend in recent years with increasing multinational presence of companies. Planning taxation or social security compliances in more than one country, triggered by the presence of cross-border employees, has been a constant challenge for companies. Social security (primarily provident fund and pension) was not mandatory for cross-border employees coming into India until 2008. The concept of International worker (IW) was introduced in India for the first time in October 2008 and social security contributions were made mandatory for IWs in India. A foreign national (non-Indian passport holder) coming to India will qualify as an IW if he or she is coming to work in an establishment covered by Indian social security provisions. An Indian national will qualify as an IW if he/she has worked or is going to work in a country with which India has a Social Security Agreement (SSA) and is eligible to avail its benefits. For an IW who has divided time between countries, there could be a requirement to contribute to social security in both the home and host country. SSAs are bilateral agreements which help in avoiding such double contributions. The SSA gained prominence from 2008 when social security was made mandatory in India for IWs. As of December, SSAs with eight countries are in force — Belgium, Germany, Switzerland, Denmark, Luxembourg, France, Netherlands and Korea. SSAs with Hungary, Norway and the Czech Republic are signed but not yet operational. A cross-border worker who is contributing to home country social security and goes to work in another country with which there is an SSA for a specified period as prescribed in the SSA can become a “detached worker/excluded worker” by obtaining a “certificate of coverage” from the home country. SSAs give cognizance to the period of service rendered by an employee in a foreign country to be counted in determining the eligibility for benefits. An IW is permitted to withdraw social security contributions only on attaining the retirement age of 58 years or as per provisions of the SSA. This is a huge concern for IWs as their social security contributions get locked for a long period of time. As per the SSA between India and Republic of Korea, which came into force in November, it has been provided that IWs from Korea need not wait until 58 to withdraw social security contributions. Subject to fulfilment of prescribed conditions as applicable to Indian nationals, early withdrawal is permitted. The expectation is other countries would also consider this and renegotiate or amend SSAs to provide for early withdrawal. Social security regulations relating to cross-border workers in India has been a highly debated topic in recent years. In the future, we can expect social security regulations to be more evolved and SSAs with more countries to come into effect. It is a document certifying that the goods of specified description and value are entering into the country from abroad. If the goods are cleared through the (Electronic Data Interchange) EDI system no formal Bill of Entry is filed as it is generated in the computer system, but the importer is required to file a cargo declaration having prescribed particulars required for processing of the entry for customs clearance. Bill of Entry for home consumption: is to be submitted when the imported goods are to be cleared on payment of full duty for consumption of the goods in India. It is white colored. Bill of Entry for Warehouses : is to be submitted when the imported goods are not required immediately by the importer but here they are to be stored in a warehouse without payment of duty under a bond and cleared later when required on payment of duty. Bill of Entry for Ex-Bond Clearance : is used for clearing goods from the warehouse on payment of duty. The goods are classified and valued at the time of clearance from the Customs Port. Value and classification are not determined on such Bill of Entry. Some major importers have been given the green channel clearance facility. It means clearance of goods is done without routine examination of the goods. They have to make a declaration in the declaration form at the time of filing of bill of entry. The appraisement is done as per normal procedure except that there would be no physical examination of the goods. Only marks and number are to be checked in such cases. However, in rare cases, if there are specific doubts regarding description or quantity of the goods, physical examination may be ordered. 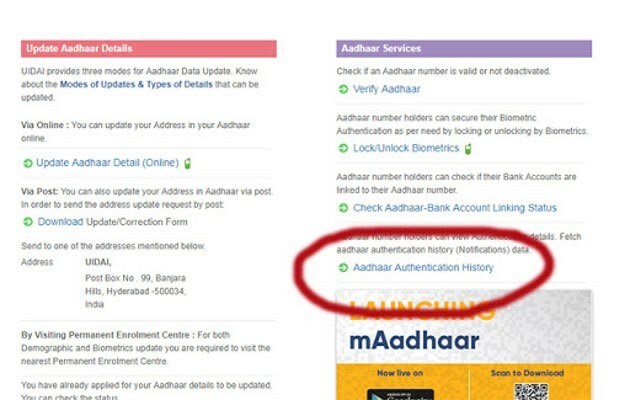 Do you know where your Aadhaar has been used? Go to Aadhaar authentication hi . If you find something suspicious, you can even lock your Aadhaar information online and unlock it whenever you want to use it. And while you are figuring that out, don’t forget ..